Looking for SISk12 Student Portal? The Student Portal login page is available from the top banner of every page on our website. The left side of the light brown banner at the top of the page is for Parents and Families. The third button is for the Student Portal. What is SISk12 Student Portal? SISk12 Student Portal is a system which will allow students to log in and view their grades, homework assignments, and more! I’m a student, how do I access my information through the Student Portal system? Currently only secondary (6th-12th grade) students have access to the Student Portal. If you are a secondary student, you can log in using your username and password that you use to log onto the computers at school or onto your Gmail account. If you don’t know how to log into those resources please ask one of your teachers or your building librarian for your login information. I can’t use the menus at the top of the page. PC with Internet Explorer 7 or later. Compatibility View is not required for the Parent Portal. PC and Mac with Firefox version 3 or later. PC, Mac, and Android tablet with Chrome. Mac and iPad with Safari 5 or later. If you are having an issue viewing the page and are not using one of the above browsers, we recommend using a different browser to view the SISk12 Student Portal pages. All of the above browsers are completely free to use. 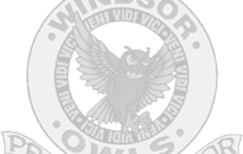 The Windsor School District recommends using Mozilla Firefox to browse the Student Portal system. Firefox is available for all Windows and Mac systems. You can download Firefox for free from http://www.firefox.com.